Slovakia wants the European Union to drop a proposal to distribute asylum seekers and start working on an alternative plan, Prime Minister Robert Fico said on Friday, repeating his view that a permanent quota system was politically dead. The EU executive proposed in May to reform the EU’S Dublin system* of asylum rules based on a “fairness mechanism” under which each member state would be assigned a percentage quota of all asylum seekers in the bloc, aiming to ease the load on states like Greece and Italy. Eastern Europe’s ex-communist states have strongly opposed the proposal and pushed for alternatives at a meeting of heads of state in Bratislava last month. “Talks with EU leaders confirmed that mandatory quotas are becoming a politically dead issue,” Slovakian Prime Minister Fico told journalists after meeting Hungarian Prime Minister Viktor Orban, also a staunch critic of quotas, in Bratislava. Almost all Hungarians who voted in a referendum on Oct. 2 rejected the EU’s migrant quotas though turnout was too low to make the poll valid. “We want the European Commission’s legislative proposals to reflect attitudes of prime ministers and presidents [of all EU member states] … that have clearly confirmed voluntariness as a basic principle in migration matters,” he said. Slovakia holds the rotating six-month EU presidency until the end of the year and is responsible for coordinating the agenda of meetings. Fico said he wanted interior ministers to start working on an alternative to the Commission’s proposal at their meeting on Oct. 13. At the meeting of EU leaders in Bratislava, German Chancellor Angela Merkel conceded defeat in a year-long quest to convince Germany’s EU partners to accept migrant quotas. She agreed to the eastern European states…proposal of “flexible solidarity” meaning they would be allowed to send troops or money to European borders instead of taking migrants in. Under the Commission’s proposal, the quotas would reflect national population and wealth and, if a country found itself handling 50 percent more than its due share, it could relocate people elsewhere in the bloc. States could refuse to take people for a year — but only if they paid another country 250,000 euros [almost $280,000] per person to accommodate them. Slovakia and Hungary have also challenged at the European Court of Justice an earlier decision on a one-off relocation of 160,000 asylum seekers agreed last year, as Greece struggled to cope with the chaotic arrival of nearly a million people. BELGRADE (Reuters) – A group of migrants in Serbia said on Wednesday they would continue a protest march to demand improved accommodation and secure their passage to Western Europe. Several hundred refugees and migrants walk heading in the direction of the Hungarian border, in Belgrade, Serbia October 4, 2016. After a night under heavy rain, around half the 300 who set out decided to return to Belgrade, while the remainder hunkered down under police guard at a gas station outside the town of Indjija, some 50 kilometers [31 miles] north of Belgrade. The migrants complained that Serbia’s refugee camps, which have space for just 4,500 people, were becoming unlivable for the 7,000 migrants stuck in the country after Hungary [blocked them from crossing the border into Hungary]. “We applied (to stay), but all camps are full,” said Ahmad, an Afghan from Kabul, explaining the decision to abandon attempts to find lodgings in Serbia and leave for the border. 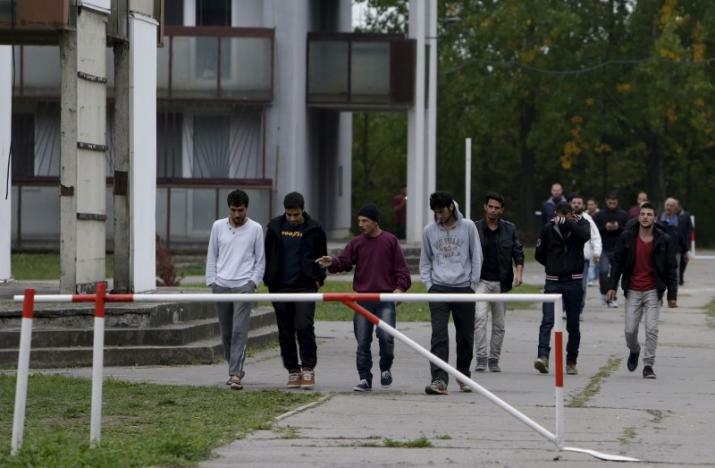 “We will walk to border with Hungary,” said Sadaqat Khan, a Pakistani in his 20s from Qetta. Most of the migrants seek sanctuary in the wealthy countries of Northern Europe. “We do not want Serbia,” Khan said. Migrant numbers are sharply down from last year, when hundreds of thousands of people left war or poverty in the Middle East and Africa and swept through south-east Europe, but a backlog of migrants with nowhere to go is building in Serbia. Patrols have been stepped up along Serbia’s southern and eastern borders, but new arrivals still trickle in. On Wednesday, the Interior Ministry said police had found 71 illegal migrants in the eastern town of Zajecar and arrested two suspected smugglers. The sight of migrants living in makeshift camps near Belgrade’s central train station has become a common one in recent months, and conditions are likely to worsen with the onset of cooler autumn weather. In Indjija early on Wednesday, aid workers distributed blankets to the migrants and a local baker provided pastries and sandwiches. Although the migrants demanded to be bussed to the Hungarian border, Ivan Gerginov, Serbia’s deputy Commissioner for Refugees, told Tanjug news agency authorities would not provide any assistance. German police commandos stormed an apartment in the eastern city of Chemnitz on Sunday and detained a man in connection with a hunt for a Syrian refugee suspected of planning a bomb attack. “Nobody was injured and no shots were fired. We’ve taken the man into custody and we are questioning him now,” said Tom Berhardt, spokesman for the Saxony state criminal investigation office. Police found explosives in another apartment they raided in the city on Saturday but [were] unable to track down the suspect, 22-year-old Jaber Albakr. Police saw him at the door of the apartment block before he slipped through their grasp. Police evacuated the residential building and fired a warning shot before storming the first apartment only to find Albakr was not there, said Kathlen Zink, another official at the Saxony state criminal investigation office. The German authorities [then] informed foreign security services about Albakr, Zink added. The Federal Prosecutor’s Office said it was taking over the case. “The overall picture of the investigation, in particular the amount of the explosive found, suggests that the person was planning to carry out an Islamist-motivated attack,” a spokesman for the Federal Prosecutor’s Office told broadcaster SWR. Police found several hundred grams of explosive in the apartment they raided on Saturday. The suspicion that a refugee was planning a bomb attack will prove unwelcome news for Chancellor Angela Merkel, whose [party has] lost support to the far-right Alternative for Germany (AfD) party over her open-door migrants policy. Merkel, who last month said she wished she could “turn back the time by many, many years” to better prepare for last year’s influx of almost 1 million migrants, has yet to say whether she will seek a fourth term as chancellor in elections next year. In July, Islamic State claimed responsibility for two attacks in Germany: one on a train near Wuerzburg and the second at a music festival in Ansbach which wounded 20 people. Despite deploying hundreds of officers, police [were] unable to find Albakr. Albakr had been in Germany since last year and was officially recognized as a refugee, Bernhardt said. He was not previously known to police, who raided the first flat after a tip-off from the German domestic intelligence service. b) The eastern European EU states have proposed the idea of “flexible solidarity.” What does this mean? c) How much money would an EU country have to pay for every “migrant” they refused to take? d) Consider the fact that the economies of the eastern European countries are very weak compared to those of the Western European countries. The European Union (EU) comprises 28 member states. Each member state is party to the founding treaties of the union and thereby subject to the privileges and obligations of membership. Last year, German Chancellor Angela Merkel implemented an open-door policy for migrants, allowing all who came into Europe to apply for asylum. Many are not fleeing persecution or war - rather just poverty. The smaller, poorer countries had no say in Merkel’s decision. Do you think these countries have a right to refuse to take migrants? Prime Minister Robert Fico said, “We want the EU’s legislative proposals to reflect attitudes of prime ministers and presidents [of all EU member states] … that have clearly confirmed voluntariness as a basic principle in migration matters.” Do you agree? Explain your answer. b) Where are the migrants from who are demanding improved housing (accommodations)? Who are they? Why did they come to Europe? c) Consider the information in this article: Why do you think the number of migrants entering Europe has lessened this year? "We will walk to border with Hungary," said Sadaqat Khan, a Pakistani in his 20s from Qetta. Most of the migrants seek sanctuary in the wealthy countries of Northern Europe. "We do not want Serbia," Khan said. We don't WANT Serbia? Are they literally admitting now they're just country welfare shopping? And why is a Pakistani there? Last time I checked there wasn't a war going on there. Where are all the women and children? If this really was a migration from war there would be families fleeing the conflicts, not just able bodied men of fighting age. And Serbia isn't good enough for them, they want to go to rich welfare countries… Never once have I seen a sign saying "I will WORK for food and clothing" just signs saying give me food, give me shelter, give me clothing…! These young men need to go back and fight for their homeland. Do you think these are fair assertions, or uncompassionate and unfeeling? Explain your answer. b) What led police to believe the Syrian refugee’s plot was motivated by ISIS? 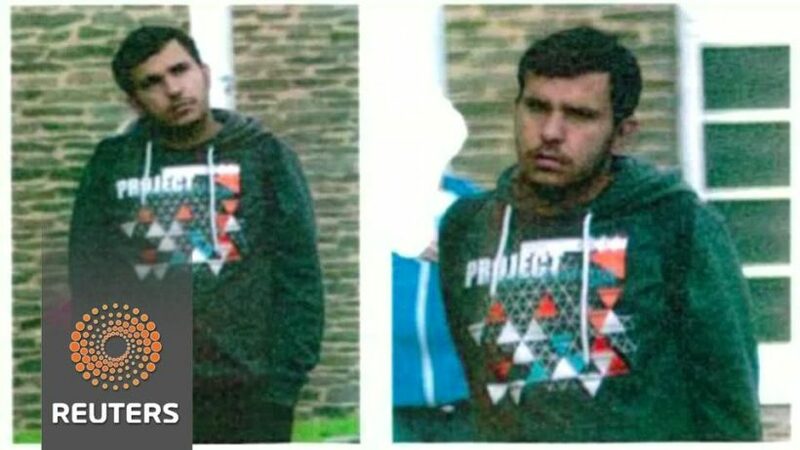 c) In addition to being bad news for German Chancellor Angela Merkel (and her open-door migrants policy) who else is this refugee’s plot bad news for? d) What other Islamic terrorist attacks have been carried out by Syrian refugees in Germany in the past several months? e) U.S. presidential candidate Donald Trump says he would limit the number of Syrians coming into the U.S. because we cannot confirm who they really are as Syria is in chaos. Trump says we should instead create a safe zone in/near Syria, providing funding for security, housing, food, etc. Presidential candidate Hillary Clinton wants to increase the number of Syrian refugees brought to the U.S. from 10,000 to 65,000 and says our vetting process is good. The Washington Post reported: "While they say U.S. security measures are much better than in the past, several Obama administration officials have said vetting Syrian refugees poses a quandary: How do you screen people from a war-torn country that has few criminal and terrorist databases to check?" Who is right? Ask a parent. 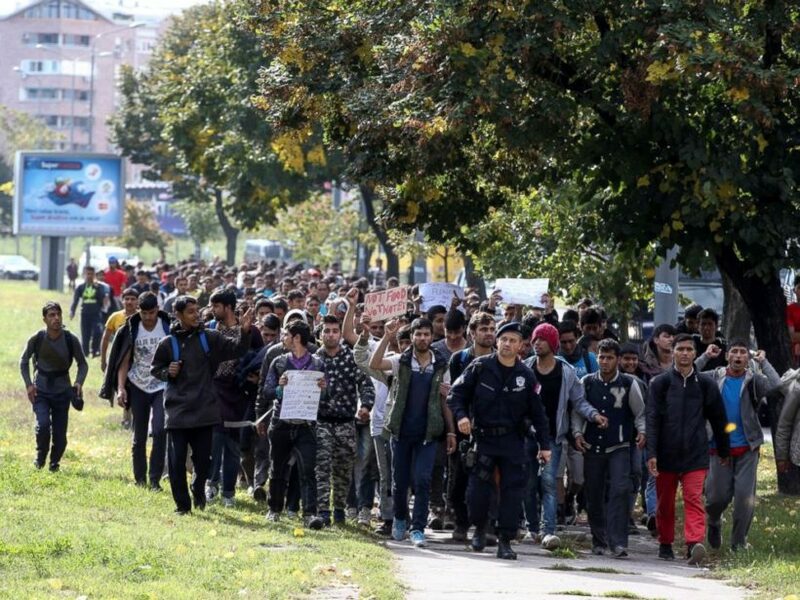 SLOVAKIA, SERBIA AND GERMANY: The "migrant" crisis is an on-going story. Read a 2015 post: “News from Germany, Slovakia and Hungary” from the beginning of the crisis. Watch a news report from Croatia a week later (in September 2015). 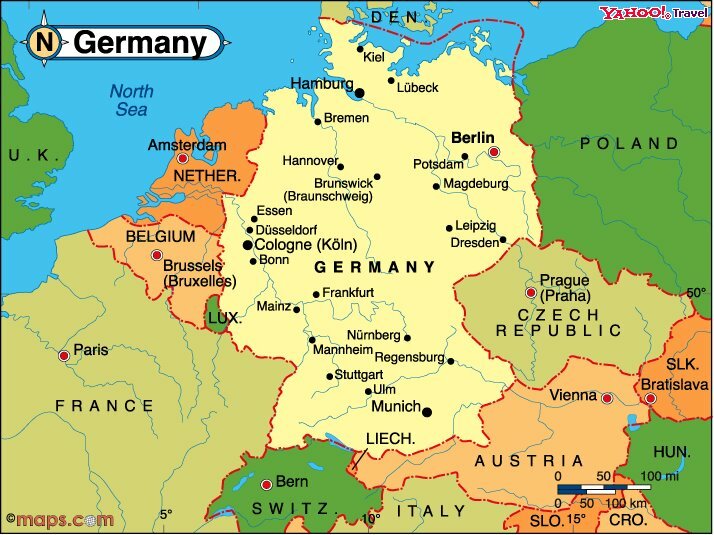 "The methods and behavior of the suspect suggest an IS context," said Saxony State Police chief Joerg Michaelis. "It is reasonable to assume that an explosives belt was nearly ready, or had been prepared already," he said. ISIS has claimed it inspired two terror attacks in Bavaria, southern Germany, in July. A Syrian man wounded 15 people when he blew himself up at a music festival in the town of Ansbach. A few days earlier, a teenager attacked passengers on a train with an axe, wounding five people. Police have warned that a small number of jihadists may have come into Germany with the influx of more than a million migrants last year.